Rooms, services Guests looking for accommodation in Bad Mitterndorf are welcome to book a nicely furnished room at Barbi Exclusive Apartment Bad Mitterndorf. There is a parking space available on the spot, so in case you are arriving by car, you will be free to leave it there without any additional costs. If you have a suitable portable device, you can connect to the Internet via a wireless network (WiFi) available at the apartment. A separate toilet and bathroom are provided to all rooms. 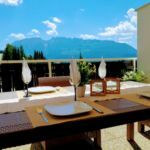 The exact scope of services offered by Barbi Exclusive Apartment Bad Mitterndorf (including those for an extra fee) and the exact equipment of a room are available on the information sheet below and on the information sheet of the given rooms. Payment Your reservation may be paid by the following method: bank transfer. 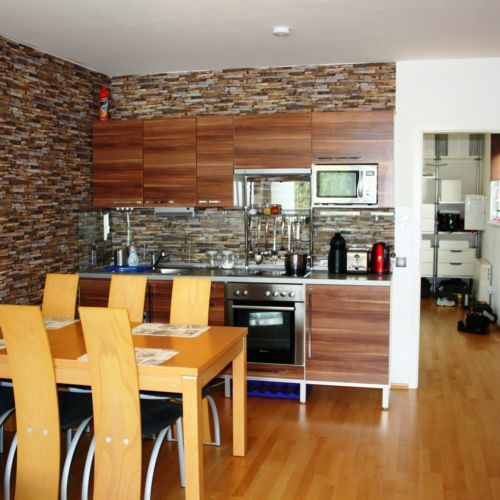 For the reservation to be complete Barbi Exclusive Apartment Bad Mitterndorf is asking for 30% to be paid in advance. Arrival, opening hours The earliest check-in time is 14:00, the latest check-out time is 10:00. You will be able to speak with the personnel in Hungarian, English and German languages. The rating of Barbi Exclusive Apartment Bad Mitterndorf is 9.5 from the maximum 10, 6 based on actual and valid guest ratings and reviews.